Traditional forms of insurance are designed to pool the risks from a large number of people and pay out for big unforeseen expenditures, like fires or auto accidents. But dental costs aren’t quite as unexpected—in fact, they are fairly predictable over time, and insurance providers have a good idea what they amount to. That’s why many dental insurance plans offer good coverage for semi-annual checkups, but limit benefits to a yearly maximum of perhaps $1,200 - $1,500, with no reimbursement for certain procedures, such as dental implants, bone grafting or cosmetic treatments. While insurers count on people not utilizing their full benefits, savings plans encourage the use of dental services. Dental savings plans work on a completely different model than dental insurance. While insurers count on people not utilizing their full benefits, savings plans encourage the use of dental services—just the same way lower prices at a warehouse club encourages buyers to shop there. Essentially, the plan’s annual fee covers its administrative costs, and the dentists who participate reap the rewards of additional business that is offered at a discounted rate. Dental savings plans are now being offered by traditional insurers, health service organizations, and individual dentists—a growing number of whom are sponsoring their own plans. If you have a regular dental home that offers a plan, you could potentially save money on routine visits as well as special services like teeth whitening or crowns. If you don’t, joining a larger plan may give you a number of dentists to choose from. Before joining, however, you should read any plan’s fine print carefully: Some involve sign-up fees and monthly charges. Also, any services you may need that aren’t performed by participating dentists are not covered. Yet in many cases, dental plans can offer significant savings. One of the major benefits of savings plans is reducing the barriers (think claim forms and exclusions) to having dental work done. Most plans have minimal or no waiting periods for procedures, require little paperwork and no pre-approvals. Members typically receive a fixed fee schedule for various dental treatments, and then choose which ones they need or want. Both essential procedures, such as root canals, and restorative or cosmetic procedures are generally included in the available options. The elimination of waiting periods and exclusions highlights another advantage of savings plans: You can join the plan when you know (or suspect) you may need dental work, and have the work done promptly. Plus, when you and your dentist have agreed on exactly which procedures will be performed, you’ll know just what your treatment will cost—and you’ll get a discount over your dentist’s “standard” rate. Exactly how much of a discount can you expect to receive? That depends on the plan, the dentist, and the type of treatment you need. A typical dental savings plan may advertise discounts of 10-60 percent on various procedures, with an average of perhaps 25 to 40 percent savings. Other factors that will affect the cost of dental care include the region where you live and whether outside companies, such as dental labs or suppliers, are involved in your treatment. While dental savings plans can be a good alternative to insurance, there are some potential shortcomings you should be aware of. Like insurance, you’ll often need to pay the membership fee up front, or as a recurring charge, but it’s possible you will never use the plan’s benefits. Depending on where you live, there may be a limited number of dentists who will accept your plan or be willing to join it. If your regular dentist does not participate, you’ll have to choose whether to stay there or find another provider. Sometimes, you may have to travel farther than you’d like to find a plan participant. Also, it can be difficult to know how much of a discount you’re actually getting. Since most dentists don’t make their fee schedule public or give quotes over the telephone, doing comparison shopping is very difficult. What’s more, since the actual benefit you receive from the plan depends on what services you utilize, your cost savings can vary quite a bit. If you only need routine exams and cleanings, for example, the plan savings may be canceled out by the cost of its annual fees. But if major dental work is anticipated, the savings could be much larger. While the cost of dental treatment can put a major crimp in your budget, the alternative—not getting proper care when it’s needed—may be much worse. Dental problems that are left untreated don’t go away; they often get worse, requiring more complicated (and costly) treatments and causing pain, missed days at school or work, and other problems. Yet no one wants to spend more than they need to, even for essential care. 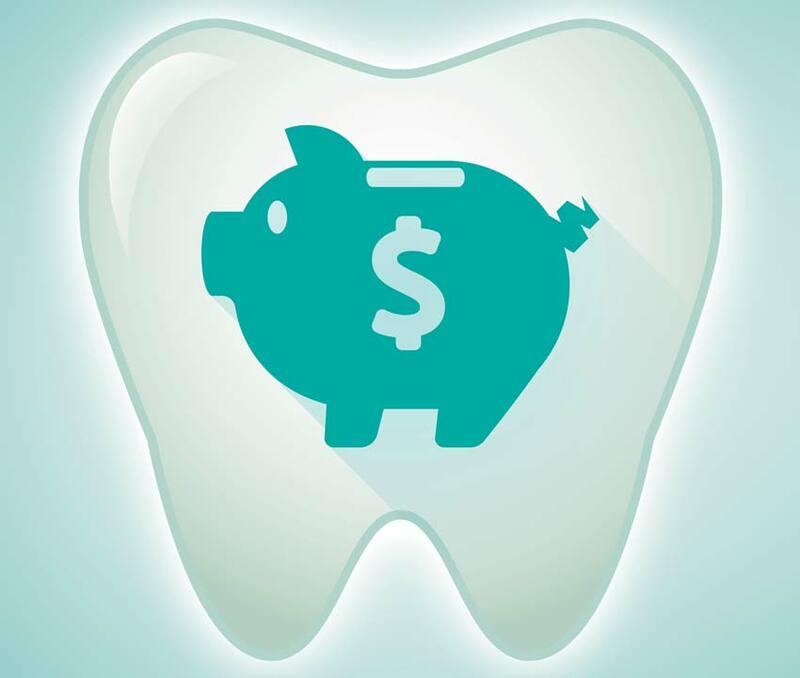 So what’s the best way to save money on dental treatment? The answer depends very much on your individual situation. If it turns out you need more extensive procedures, the costs of treatment can quickly exceed your insurance policy’s annual spending cap—meaning you’ll have to foot the bill for the difference. That’s where a dental savings plan may have the advantage. Most types of dental insurance provide good coverage for the basics: semi-annual exams, cleanings, and perhaps x-rays and a filling. If dental insurance is available at a moderate cost from your employer or via a public program, it makes sense to look into it. Individuals with good oral health who don’t expect to need more than routine treatment may find that employer-provided dental insurance is a good value. However, if it turns out you need more extensive procedures (like extractions, periodontal treatment or a root canal), the costs of treatment can quickly exceed your annual spending cap—meaning you’ll have to foot the bill for the difference. That’s where a dental savings plan may have the advantage. Depending what services are needed, a plan could offer significant savings over what you would pay on your own. For example, a person who needs root canal therapy and a porcelain crown could benefit from getting treatment through a dental plan rather than relying on insurance coverage. For dental procedures that could be considered “cosmetic,” such as veneers or orthodontics, most dental insurance offers no coverage at all. If you’re considering this kind of treatment, look for a savings plan that offers discounts for these services. You should also confirm that there are providers in your area you are comfortable working with who will accept your plan. Finally, you can benefit from doing some basic research into different savings plans. What is their fee structure, and are other charges (like so-called “activation fees”) tacked on? Exactly which procedures are covered? How long will you have to wait after signing up before you can see the dentist? How extensive is the network of providers in your area? And can they give you a firm quote on the treatments you may need? Finding the exact cost of dental procedures can be tricky, and the lack of transparency often makes an apples-to-apples comparison between plans or providers difficult. However, a number of on-line dental cost estimators can provide information about typical dental costs in your region, which offer a baseline for comparison. You can also ask friends or family members what they’ve paid for specific procedures. The bottom line: Whether or not a savings plan is a good deal for you depends very much on your own treatment needs and the typical fees charged by providers in your area. Here’s another way to save on dental treatment: Don’t pass up routine checkups and professional cleanings, even if it means spending a modest amount of money every so often. Tooth decay that’s found early can often be treated with a simple filling; decay that goes untreated may result in the need for a root canal and a crown, or even tooth extraction. These procedures may cost many times more. Periodic exams and preventive treatments are among the best values in dental care—and they can help keep minor dental issues from becoming major problems for your health…and your budget.